President Muhammadu Buhari has officially resumed duty as he has signed a letter notifying the National Assembly of his resumption of duties in State House Abuja. 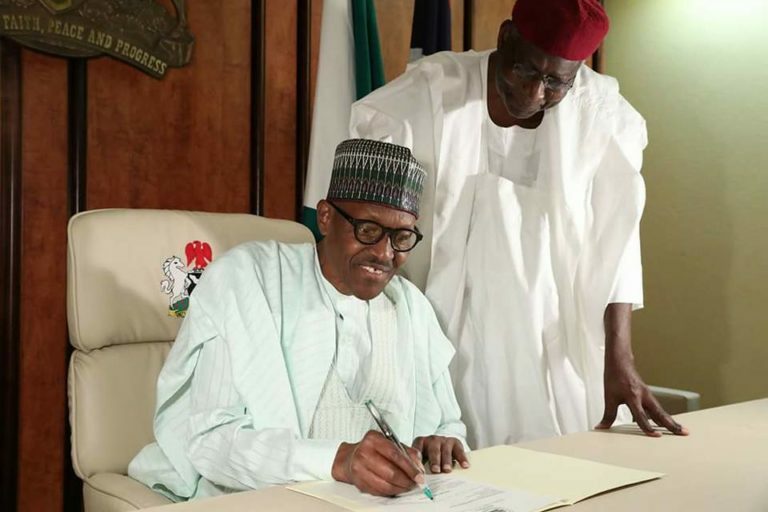 President Buhari had returned to the country on Saturday, August 19, 2017, and in a letter dated August 21, 2017, he told the Senate as well as the House of Representatives, that he was resuming office. The letter stated in part: "In compliance with Section 145 of the 1999 Constitution (as amended), I write to intimate that I have resumed my functions as the President of the Federal Republic of Nigeria with effect from Monday, 21st August, 2017, after my medical follow-up in the United Kingdom."